Antrix is the commercial organization for the Indian Space Research Organization (ISRO), India’s national space agency. The deal is part on ongoing relationship exactEarth has had with Antrix, who’ve supplied them with launch services for several of their satellites. exactEarth also has an AIS sensor on India’s ResourceSat-2 satellite. exactEarth currently has 7 satellites in its constellation along with two hosted AIS payloads on India’s ResourceSat-2 satellite and the Canadian governments M3MSat. They will also have an AIS sensor on the Spanish Hisdesat PAZ earth observation satellite when it is launched next year. After being spun-out of COM DEV, and becoming publicly listed this year, expectations where high for the maritime data company, however a couple of events put a damper on the company in 2016. First came the news that a contract they had won in September of 2014 from the Government of Canada for $19.2 million was not as lucrative as first thought. 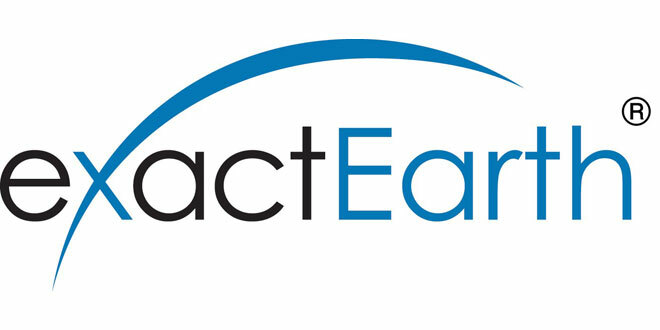 The government decided it needed considerably less AIS data services and so exactEarth took a hit to its books to the tune of “approximately $600,000 per month lower” over the course of the contract according to a press release issued on May 5th. Then came delays by satellite launch provider SpaceX, who have been scheduled to launch the Iridium NEXT constellation for some time and which includes 58 exactEarth AIS hosted payloads with its partner Harris. The delay grew longer when a SpaceX rocket blew up on the launch pad on September 3rd during a pre-launch test. The good news is that 2016 is coming to a close and it is expected that sometime in January, SpaceX is will launch the first 10 satellites in the Iridium Next constellation. That, and additional recent contracts, including this one, appear to have exactEarth back on track, and has been reflected in an uptick in their stock since early November.